In celebration of the launch of our first-ever Kendra Scott Home Collection, we are giving back to our communities in a big way. Tomorrow, with each purchase from the new collection made online or in any of our three Austin stores, we will donate 20% to the Austin Habitat for Humanity. It's a cause Kendra has been passionate about for a number of years...Read on to hear her story behind this meaningful day of giving. I have known the Thompson family for over 11 years. Our kids have grown up together and been in the same classes with each other since preschool. We lived in the same neighborhood – a tightly knit one – and our families quickly formed a strong connection. When Maureen Thompson was diagnosed with cancer, our whole community reached out to support their family in any way we could. And two years ago, when Maureen lost her battle, I made it my priority to reach out to her children. That is when I truly got to know Taylor, her oldest son, and his incredible heart for others. Maureen was a brilliant architect with an inspiring passion for giving back to others. She built one of the very first Austin houses for Habitat for Humanity. Following his mother’s lead, Taylor set out to build another Habitat house in memory of Maureen. I couldn’t help but admire this 17-year-old boy for turning such a heartbreaking time in his life into an opportunity to do something positive and impactful in his community. I gave a personal donation, my family helped with the building process, and so did my company. Taylor raised $85,000, handed over the keys to a beautiful home he helped build, and changed the lives of an entire Austin family for the better. Taylor’s caring heart ignited my passion for Habitat for Humanity. 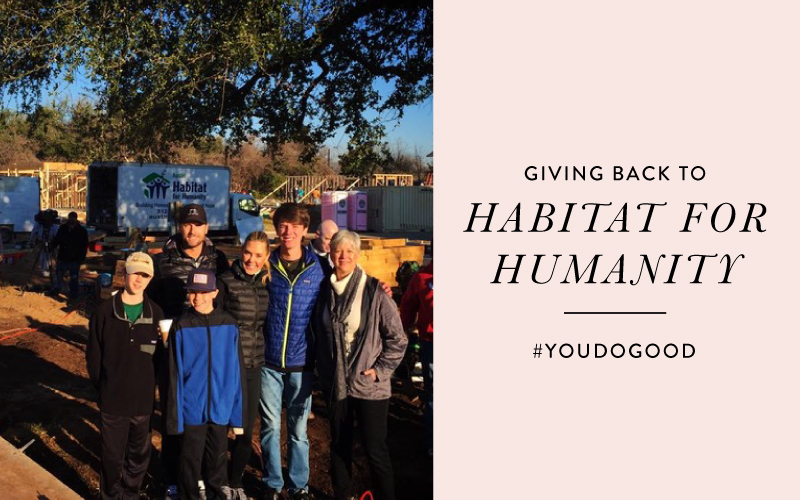 That is why today with the launch of Kendra Scott Home, we are giving back 20% of every purchase from the collection online and in our three Austin stores to the Austin Habitat for Humanity. Every day, more and more families find themselves in a struggle to keep a decent roof over their heads, and Habitat brings people together in the name of building a home – and hope – for someone else. I am honored to support Taylor, his family and the AHFH in their mission to give every family a place to call home. Shop our newly launched Kendra Scott Home Collection tomorrow, in-store and online, and join us in supporting a cause that's dear to Kendra's heart. A number of our Kendra Scott stores across the country are supporting this cause in their own way, so check your local store's Facebook page to learn how you can help us give back! What's On Kendra's Gift List?